Season 1: Follow the Journey of a Graduate Nurse, starting in the Intensive Care Unit (ICU). Season 2: Find out what it's really like to work in the Emergency Department (ED). Following on from the previous episode on what I have loved about starting in ED; today, I’ll be going over a few of the things I have noticed to be immediately different regarding the switch to the Emergency Department. Again, I absolutely love my job as a Registered Nurse; and I’d say a few of these are just acute reactions to the very big transition from ICU. Welcome back to the New Grad Radio podcast. In this episode, I talk about my experiences so far of mental health within the Emergency Department. This is predominantly an outline of how these patients progress through the ED, from prehospital setting, all the way through to the ward. It allay be a little long-winded, but I really wanted to re-emphasise the fact that there are excellent resources at our disposal, and that the majority of the time all goes without a hitch. Welcome back to another episode of the New Grad Radio Podcast. It is with my pleasure that I introduce my first special guest to be on the podcast: Hannah Cotterell. After completing our university together, Hannah was accepted into a prestigious graduate program into the Emergency Department at one of Australia's leading children's hospitals. In the episode today, Hannah elaborates on her own nursing journey, including a job she held whilst at university which has helped her immensely; an exciting two-week placement in Cambodia; as well as some first-hand experiences and advice that I think is absolute gold for anyone to hear. Whether you are a student nurse with an upcoming paediatric placement; a student, or registered nurse considering a transition into paediatric nursing; or simply after a little more information on the career of a nurse working in as a paediatric nurse in a busy Emergency Department, I believe you will have many take-aways from Hannah's words of wisdom. As always, thank you very much for listening, and if you have any comments or questions, please do not hesitate to send a message through on the Facebook page: search "New Grad Radio Podcast". This was my first attempt at interviewing, with there being a few clunky sections; but just like nursing, with a positive attitude, and persistence, it’ll only get better! Thanks to Hannah for her patience. Show Notes: Here is the link to the Royal Children's Hospital website that Hannah mentioned: - https://www.rch.org.au/clinicalguide/about_rch_cpgs/welcome_to_the_clinical_practice_guidelines/ There are also some apps you can download on IOS and Android devices: search 'RCH Clinical Guidelines', as well as ‘Emergency Nurse Practitioner’. Welcome to Season 2. In today’s episode, I start by going over some of the many reasons I have loved the move to the Emergency Department. I have done this by breaking it down into three headings: Skills, Exposure and Processes. By no means is this list exhaustive, but I feel it’s a pretty accurate start. Welcome back to another episode of the New Grad Radio Podcast. As you know, I’ve recently made the transition from the ICU, to the Emergency Department. Through the second season, I hope to paint a picture of what it’s actually like to work in this area of nursing. Not only will I be doing that through sharing my own experiences, but I’ll be bringing to some special guests, from areas such as Rural and Remote, Paediatric, Pre-Hospital, and Ward nurses, who will each share with you their own perspective and experiences; in an attempt to deliver what it’s actually like to work in ED. 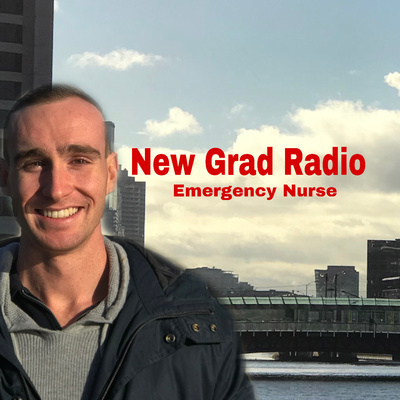 If you’re interested in listening to Season 2, head over to where you’re listening to this episode right now, and Type in ‘New Grad Radio: Emergency Nurse’, click subscribe, and you’ll receive the wide array of episodes that are to come. Well everyone, after twelve months, and 102 episodes, this is the final episode of the New Grad Radio Podcast. In this episode I reflect on why I started the podcast, and how I intended this to be a resource for others long into the future. I also share what my next big venture will be once I return from holidays. Thank you so much for listening along! Over the duration of this year, I’ve had the pleasure to work with some of the most incredible doctors. Saying that, I found it fairly nerve-wracking to communicate with the doctors when first starting. In this episode I break down some of the different types of doctors I work with on a day-to-day basis; and provide some specific examples and tips on how to provide updates and information to the doctors. Welcome to Episode 100!!! As you’ve probably noticed, it’s been a few weeks now since I’ve published my last episode of the NGR Podcast. That’s because the last few weeks I’ve been working hard, preparing for my final 12 month CPAT. In today’s episode, I’ll reveal how I went on the day, and talk about the progress I’ve made in the lead up to the big event. As you’ve probably seen, today’s episode is quite lengthy. Why is this? Well, I go into detail of HOW I do things day to day regarding writing notes and delivering Handovers. These were some of the things I really struggled with when I first started, and I made this episode to hopefully ease the process for new nurses starting into ICU. As I mention, it took me almost 11 takes to produce this episode. That’s because there is just so much that could be said about mechanical ventilation, and the concepts behind its use, that it made it hard to concisely produce an episode on the topic. So, in today’s episode, I break down my own personal experiences using the ventilator; I explain a few concepts behind it’s use; and in general, share my thoughts on how I’ve progressed over the last 12 months. In the second episode of the End of Year Reflections, I reflect on my experience of starting as a Graduate Nurse starting in ICU, and the challenges that it had brought. As you’ll hear, it has been the things that I did not expect to be a challenge, that have been the most challenging. In this episode, I really tried to let down my guard, to bring you an episode that is as transparent, and as true of how I’ve felt as possible. I hope you enjoy. Now that I’m coming into the final few weeks of my graduate program, I thought I’d take this opportunity to update a few of my older episodes, and reflect on some of my biggest learning opportunities, and where I am now in comparison. This small series is called End of Year Reflections. To start with, here is an episode all about my experiences with Inotropes and Vasopressors. If you have any questions at all from what I discuss in this episode, please don’t hesitate to contact me via the NGR Facebook page. After recently receiving the news that I have passed my final transition assignment; today’s episode is all about one thing that you could do right now, that could help you to prepare for post-graduate level study. One of the most common questions that I have received this year, by far, is about my experience of receiving the Defence University Sponsorship Scheme by the Australian Army, to be a Nursing Officer. In this episode, I outline: What is the DUSS, What it involves, The Application process; along with my own personal experiences through university, my graduate year, and what will happen from here. If you have any questions at all, please don’t hesitate to send me a message via the New Grad Radio Podcast Facebook page. Have a great day, and I hope you enjoy. Sometimes on a night shift you have a bit of time to re-organise equipment, and set up for the next nurse. As you’ll hear, there are a few things you could do that will help out the morning shift big time. I’ve probably painted the picture that my time in ICU has been non-stop every shift; with rapidly commencing interventions and patients in a constant state of deterioration. Yes, sometimes that is the case, but for the vast majority of the time, whilst I’m still keeping a VERY close eye on my patients condition, some shifts are a lot more ‘regimented’. Some of my favourite memories from my Graduate Program have been my sit-downs and chats with family members. Whether it be making them a cup of tea, or simply sitting beside them next to their loved one; I truly feel as if I’m making a difference during this uncertain period. In today’s episode, I reflect upon a few examples of times I’ve sat down with family. After signing on to my morning shift, I saw it written down that I was to perform my 9-month CPAT. Whilst it was a little nerve-wracking, I was also excited. In today’s episode, I recount some of the biggest lessons I learned about myself, and what I’ll focus on now to prepare for my final 12 month assessment. Within the ICU, not all of our patients meet vital sign parameters that we were taught as ‘normal’ at uni. In today’s episode, I share a few of the examples that I’ve personally had; and share the strategies in place to ensure you’re delivering the highest quality of care to your patient. Whether you work in ICU, or ANY other area of nursing, this is certainly applicable. Have a great day! It’s Incredibly Rewarding to Start in ICU! Pushing day after day, receiving some sick patients; along with completing my second transition assignment is certainly challenging, and a bit tiring. Yet, when I reflect on just how lucky I am to start in ICU, it keeps me energised to keep pushing exceptionally hard. In today’s episode, I talk about some of the reason I absolutely love working in ICU. The ICU can be a fairly lonely space. It certainly cannot be fun from the patients perspective. So, where possible, I try to incorporate some ‘fun’ activities to brighten up their days, and reduce the need to administer various medications for pain, or to sleep. In today’s episode, I share some techniques that I frequently use, that I’ve found to be helpful. Recently, a brilliant nurse within the ICU provided me with a helpful tip to increase my time management. And boy, has it been working!!! Who knows, it may work for you as well. Every so often I come across a patient that makes me stop in my tracks, smile, and reflect on just how far I’ve progressed within such a short period of time. In today’s episode, I talk about an experience I had on one of my very first days, and compare to what I had a few shifts ago. Nearing the 9 month mark for my Graduate Program in ICU, I describe the two major Assessments approaching very shortly, and how I’ve been preparing. As they say, the skin is the largest organ in the body, and boy, is there a lot of it. In this episode, I talk about a topic I have struggled to develop over the last 9 months, that being, performing a systemic skin assessment of the patient. At first, I found it quite confronting, to expose a naked person, and look under every nook and cranny. But as you’ll hear, the importance of doing so can have a significant impact on a patients stay in ICU. Simulation can be an incredibly useful tool to improving your techniques and skills as a nurse. 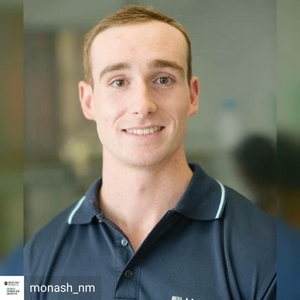 In this episode I talk about two of the presentations during the Australian Tactical Medicine Conference; and how simulation has shaped me, both during uni, and now as a graduate Registered Nurse. Recently I attended the Australian Tactical Medical Association’s Tactical Medicine Conference, held in Brisbane. It was an incredible experience, whereby I got to hear from leaders in their field, presenting on some cutting-edge research; as well as being able to network with industry professionals. This will be the first episode of a few topics, that I’ll attempt to make transferable to anyone listening. Walking to Work Thoughts- Reset Each Day! I made this episode on a walk to work, ready to tackle another string of night shifts. I chat about how I deal with the pressure of my graduate and transition programs, and how each passing day brings new challenges and learning experiences. Have a great day everyone! It’s certainly a tough question. When a family member looks at you, and asks how long you’ve been nursing, it’s quite easy to take it personally. In this episode I share some insight to how I’ve responded to this question, and provide some tools that I’ve used. In my final semester of uni, a significant emphasis was on reflection. One example, was of a positive mentor/role model from placement, and what they did to make you feel that way/take away. In this episode, I share my own personal experience from one of my favourite mentors; and link it back to my experiences so far in ICU. *I’ve recently remade this episode* Over the last 8 months, I’ve rarely ventured outside the ICU. In this episode, I share an experience of transporting my patient from ICU to the Operating Theatre. Treating the Patient, Not the Machines! There are a lot of pieces of equipment we use in the ICU to collect, what is often, second-by-second information/data. In this episode, I provide an insight to each of these; as well as share a story I has the other day, of a sick patient, who did not have all of the machinery/data I have been reliant on over the past 8 months. It is a true example of why it is important to hone your assessment skills and use your clinical judgement. Why Resubmitting my Assignment was Ideal! I personally believe the ability to thrive during your graduate year is all about perspective. In this episode, I unpack why I believe resubmitting my transition assignment was one of the best learning opportunities; and how I believe it will help going into the future. Specific Examples of What I’ve Learned/Experienced Recently! I can’t remember a day, over the entirety of the past 7-months, where I haven’t learned, or performed something new during a shift. With the variety of patients I see, mixed with the different points I’ve cared for them during their stay, there are constant learning opportunities. In this episode, I specifically detail what I’ve leaned, and experienced, over the past week of shifts. The acuity of patients I’ve been caring for in the ICU is very high, and as a result, unfortunately, despite the highest quality of care provided, some patients die. In this episode, I talk about my experiences of death in the ICU, and explain how I feel, and how I handle the situation. The transition from uni, to now starting as an ICU nurse, consists of a lot more than simply that of student to nurse. I’ve had to develop routines for my exercise, diet, and sleep, in the context of shift work. In this episode, I share what has worked for me, and provide some insight of how I came to develop these practices. Deteriorating Patient Story - Experience is Helping! In today’s episode, I run through a recent experience I had managing a patient who was deteriorating very early into my shift. I’ve started to care for patients who are a lot sooner into their within the ICU; in today’s case, only 4 hours, meaning a lot can occur. I breakdown not only what happened; but more importantly, I share how this particular experience was a culmination of a lot of what I’ve learned to date. I’m back to work after a few weeks holiday; and as I turns out, 2/2 shifts I’ve either worked towards, or have performed an Extubation. Keeping along this train of thought, I thought I’d cover what we look at prior to extubating a patient; the differences between positive and negative pressure ventilation, the different modes we trial, and the procedure of extubation. As I reflect on the vast array of experiences which have occurred over the last 6 months, I share with you a moment from the very first 10 Minutes of my first buddied shift. It was a heart warming experience I’ll remember for the rest of my career. I feel so proud to be a nurse, and to provide care during this dark moment of their lives. Types Of ICU Nurses I Didn’t Know Existed! In the short 6 months I’ve worked as an ICU Grad, I’ve come across a variety of nursing positions I didn’t know existed. Whilst I may not know a tonne about the specifics of their roles just yet, I take this opportunity of outline who they are, and basically what they do. At the start of each and every shift I perform a variety of safety checks. In this episode I break down each check, and explain why I do it. Following on from Part 1, I use the same scenario, to break down what I was looking at, and linking it directly to a Primary Survey. Over the last 6 months, I’ve been developing my routine for starting each shift. To begin with, it felt like complete stimulus overload; not knowing where to look first. But over time, with experience, I’ve started to develop a routine that has worked for me. In Part 1, I outline the scenario, and walk through in real time what I’m looking at. There are a few things I like to do, to make the transition from my shift, to the next, more seamless and efficient for the next nurse. It’s taken a solid 6 months to develop, but like anything, practice makes perfect. As I mention, not all are always achievable, but if possible, makes for a solid, and satisfying conclusion to your busy shift. Most days, I have some form of contact with either family, or friends within the ICU; and with that, brings some challenges. In this episode, I outline a few of the unexpected challenges i've faced, and provide helpful hints of what I do in those situations. The moment has finally arrived, after 6 months of waiting, I’ve finally experienced by first transfer to CT. I did it independently, and as many have already mentioned, this would have been the easiest CT of my career. Either way, I had a blast, and I can’t wait to share it with you. Over the last 6 months, to say I’ve experienced a lot, would be an understatement. Here is a quick Top 5 of lessons I’ve learned, mostly from either mistakes, or hints from other nurses that I’ve observed, to make my day-to-day practice more efficient. The purpose of this episode, is to provide a real example of the type of troubleshooting I do every day as a graduate in the ICU. I take you step-by-step of what I was thinking in the moment, and reflect on lessons as a whole. Today I handed in my first assignment for my transition program in the ICU. What an experience it has been completing this assignment. I have learned more about myself, and my abilities than I ever thought possible. In this episode, I go over the assignment itself, and more important, I share my thoughts of the journey itself: structuring my time, testing my limits, preparing for postgraduate study. I’m back!!! For the past few weeks I’ve been working hard in finishing my first assignment for my transition program. It’s almost finished, and will be handed in on Monday. In the meantime, I can’t wait to share an experience I had recently. First time using another rescue medication: Glycopyrrolate! I’ve had so many new experiences over the last few weeks; and with two weeks holiday coming up soon, I can’t wait to make episodes, and share them with you. I distinctly remember the concept of medication calculation quizzes at Uni, absolutely haunting my dreams, at the concept of having to achieve 100% to pass. Now, having spent the last 6 months in ICU, I share how a I have been using maths, and why it’s not as scary as you may think. Prior to a recent shift, I was flicking through my notebook that I’ve had for the past 6 months, looking at how I have been taking notes. It really hit me to see just how drastically my note taking has changed. In this episode I talk about my experiences of receiving Handover; and I share my perspective of what I’m listening out for in particular. If you’ve ever experienced caring for a Delirious patient, you’d know that it can be quite taxing, both physically and emotionally. In this episode I talk about a few of my experiences of caring for these patients; some of the techniques I use, and some of the reasons why my patients have been Delirious. I hope you enjoy! I thought i'd mix today's episode up, by creating a bunch of small segments, for the duration of my night shift. Follow as I prepare for my shift, discuss my routine, listen as I stair climb, and possibly answer a few questions you may have had about night shifts. I hope you enjoy. The journey for friends and family through their loved-ones progress to ICU can be incredibly emotional, and intense. One intervention that is put in place to answer questions, and provide support is the ‘Family Meeting’. One Doctor, One Nurse and the family members sit down to go over everything so far. Often, this Family Meeting will occur within hours of the patients presentation to ICU. Here are my experiences so far. I’ve received a few messages lately asking what I bring to work each day; or what hey should buy to prepare for their grad year. In this episode, I talk about 3 pieces of equipment that I find useful. Hope you enjoy. The ICU can be an intimidating and stressful environment for everyone involved; especially for kids. In this episode, I talk about 3 tips I use, that help to mediate the ‘scariness’ of ICU, and help to keep the experience as positive as possible. It’s no lie that I absolutely LOVE 12 Lead ECG’s. It’s certainly a passion of mine. In this episode, I share an experience I had of interpreting a 12 lead with a Senior Registrar; and how I appreciated his time! I found the experience super educational and rewarding. Have a great day!!! Graduate Program + Extra Study - What’s it been like? As I’ve mentioned in a few other episodes, along with starting as a new graduate in the ICU, I’m also completing a formalised transition program as well. Whether you’re looking at going the same thing; or looking at other study such as an honour’s year; here is my perspective and experiences so far. Just thought I’d make a quick little episode to talk about my experiences post-CPAT; with caring for a higher acuity of patients. New equipment, new procedures to follow, and certainly a higher pace. It really is like walking to running. In 2016, I attended a workshop, hosted by TacMed Australia, before my student paramedic competition. They introduced a technique, often used in the military setting, called ‘Tactical Breathing.’ The effects for me, were almost instantaneous; and I’ve lost count of exactly how many times I’ve incorporated this technique into my practice. It’s something I use often, and strongly endorse. For final-year Nursing students in Australia, soon you’ll be entering your final-semester of uni; and will applying for your graduate programs before you know it. For my UK friends, as I understand you’re currently competing your interviews. In this episode, I talk about my personal experiences of working in a graduate program that I love, and how that makes the world of difference starting as a nurse. It’s Time! I’ve started to care for patients who are in need of some haemodynamic support. I talk about my experiences so far, and my mindset as a Grad. After attending my formal graduation ceremony from university, and catching up with a few of my uni mates, we all shared our experiences from our graduate programs. It really became apparent at just how high acuity of patients I’ve been looking after. Exposed, day after day to some very sick patients. I talk through my thoughts on a subject I don’t feel is talked about enough: Compassion Fatigue, Stress & Burnout. I have absolutely fallen in love with my graduate program, working as an Intensive Care Nurse. As student nurses begin to rotate through the unit, it has me thinking of what pieces of advice, I would have given myself, if I knew what I know now. There is just so much to learn within the ICU. I have made a TOP 6, of things I could have done, to maximise the education, learning and overall experience of my rotation through the Intensive Care Unit. I hope you enjoy. As you know, I didn’t have a student placement in ICU. Before starting my graduate program, I had some burning questions relating to how I would determine levels of consciousness, and levels of pain, within my sedated and intubated patients. I thought I’d share what I have learned over the last 3 months, and provide some insight to how this is performed. I hope you enjoy. Starting as a new graduate nurse, directly into the ICU, I’ve only ever known caring for one patient. Last night, I had the opportunity to care for 2 patients, at the same time. The shift has its challenges; yet on reflection, I learned so much about myself, and my abilities. Im proud of this episode. I reflect on a difficult experience I had the other day, and I discuss what I was feeling in the moment. I compare this to a similar experience from one of my first shifts in the ICU. I’m excited to share that I passed my formal 3-month practical test within the ICU. In this episode I discuss what was involved in the 8 hour assessment, and where I’ll be heading from here. It’s interesting, it wasn’t until a recent education day; mixed with a few critically unwell patients, that I’ve started to notice I’m understanding more of mechanical ventilation. It all takes time! You just learn to keep up! As I approach my first practical assessment for my Graduate Program within the ICU; I reflect on how I’m coping, and how I’ve learned to cope, with the constant flood of new information. The rate of new information certainly doesn’t slow down, you just learn to keep up! It’s a rewarding feeling to experience either a skill, or a situation, you haven’t done in a while, so you can compare just how far you’ve come. In today’s episode, I compare my first ever time taking a Handover in Post Op from Theatre (Week 2ish); to now being 10 weeks in. What is a Student Paramedic Competition? I’ve received quite a few requests to talk about my experiences of competing for my uni in two student paramedic competitions. I was fortunate to have competed twice for my university; and my experiences have certainly helped to prepare me, now as an Intensive Care Nurse in my graduate Nurse. I hope you enjoy. I take this opportunity to reflect on the last 10 weeks of the ups and downs; and talk about how so feel now, in comparison to only a few weeks ago. Im beginning to feel a lot more comfortable; feeling more apart of the team; and beginning to really develop a professional and personal routine as a new graduate nurse. I’ve officially received the date of my first practical assessment as part of the transition program within the ICU. This assessment is the culmination of the first 3 months of my graduate year. I reflect on how I feel about this, what will be involved in the assessment, and how I will start preparing for it. It can be difficult to communicate with patients who don’t speak English; this is especially true within the ICU, when patients present from emergency surgeries or in an Altered Conscious State. In this episode I share with you a technique I have used on a number of occasions, and provide context of how it could work for you. Im fortunate to work within a well resourced ICU; with access to highly specialised pieces of equipment. Along with this, all of the health professionals are conscious, and encouraged to think about their usage of equipment, and how to save costs where possible. I describe my experiences of this so far, and talk about an area I believe could save money in my unit. Its incredible how supportive my unit is, and how we're encouraged to bring new ideas to the table. A Moment I’ll Remember for the rest of my Career! One of my passions as a Nurse, is the interpretation of 12 lead ECG’s. As it turns out, this came in handy last night, as I mention during this reflection. An exciting moment that I’ll remember for a very long time! Experiences of Strange ECG’s - Runs of VT!!! In today’s episode, I talk about some of my experiences so far of noticing, and managing some strange, and complex electrical activity for my patients. The exposure I’m getting in the ICU is unbelievable; and the funky heart rhythms I’m seeing already has been both nerve racking, and interesting. For example, watching as my patient experiences runs of VT, as he sits calmly drinking some tea! I hope you enjoy. This may be a strange topic to talk about, but today’s episode is discussing my journey of overcoming nerves, about talking on the bedside phone. My first phone conversation as a Grad was a face palm moment for sure, but as time has gone on, I’m finding it to not be that big of a deal anymore. I hope you enjoy. Its incredible; some patients can sit comfortably with no sedation, with a large ETT in their mouth; whilst other patients will cough and cough and hate the experience. I detail an experience of the latter, and explain why I chose to re-commence sedation in the interest of my patient. Mechanical Ventilation is certainly a hot topic within the ICU. In today’s episode I break down my experiences of first seeing the ventilator, and learning the absolute fundamentals; compared to 9 weeks in, having a bit more exposure. I hope you enjoy. Continuing on with introducing the various Interprofessional Team members in the ICU; today I describe the role of P&O’s, a group of health professionals that measure, and provide limb splints for our patients. I hope you enjoy. Am I changing as a person by working in the ICU? The ICU is certainly a challenging environment to start as a New Graduate Nurse. There is constant stimulus overload from all of the ‘beeps’ and interruptions within the bedspace, and it’s a challenge to learn what everything means, and what the priorities are when first starting. In today’s episode, I describe how my thought process, and my personality has been changing since starting my grad program, and why I believe this to be helpful in my new career. Handover from ICU to the Ward - How does it change? I’ve been fortunate enough to be able to discharge a number of patients from ICU to the wards. As I’ve started to notice, there a subtle difference in what Ward nurse are wanting to hear, versus the handover I’m giving in ICU. I detail a few of my experiences, and the different aspects specific to handover to the Ward. Have a great day!!! As nurses, we are not only caring for the needs of our patients, but we’re also supporting their loved ones through a horrific time in their lives. I speak of my experiences so far with family members, and explain what I do to ease their nerves, and to show as much compassion as possible. Hope you enjoy. On the second Interprofessional episode, I talk about the role of Physiotherapists. The physio’s are an absolute ball of knowledge, especially when it comes to Airway and Breathing. Whether is be early mobilisation of patients, performing breathing exercises, or auscultation of lung fields, there is just so much to learn from these incredible professionals. I work with physio’s on a daily basis to help improve my patients outcomes. I hope you enjoy this episode. One of the most amazing parts of working in the ICU, is seeing how well the large Interprofessional team, consisting of a large array of various health professionals, work as a team for the benefit of the patient. 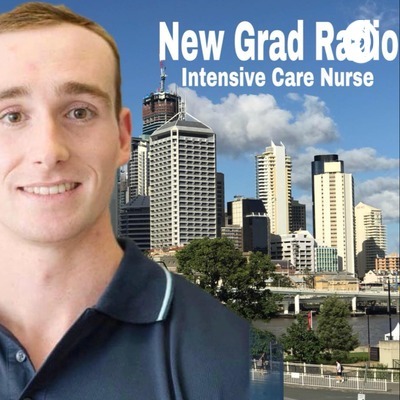 On today’s episode, I detail the role of the ‘Wardies’, and speak of how much they have helped me starting in my new role as a grad nurse in the ICU. First of all, thank you so much for everyone from Australia and abroad for reaching out to me, leaving me kind comments, and for asking me questions about starting in the ICU. I speak from the heart, and offer my experiences so far. As you will hear, it’s not so much about my ‘Advice’, as I don’t believe I am qualified yet to offer any; rather, I speak openly about what I have found helpful, and the mentality I possess/have adopted to keep moving forward within a career I absolutely love. I’d love to hear some feedback; and again, thank you for your support of the New Grad Radio Podcast. As a recent paramedic graduate, whilst there are numerous similarities of how I’m assessing and managing patients; I’ve found there to be considerable differences as well. I discuss what they are, and how I’m learning to navigate my scope of practice within the ICU as a new graduate nurse. After listening to the previous episode, it appears the final 3 minutes were not recorded. I sincerely apologise. I use this separate episode to include what was missed. I’ll take this as a learning opportunity for the making of the podcast, and ensure it won’t happen again. Have a great day!!! I detail an experience from a recent shift, whereby things didn’t exactly go to plan at the time of handover. As I’m learning, things can change, and go from 0-100 exceptionally quickly in the ICU. It’s no secret that starting full time work has been taking some getting use to. A few months in now, I take this opportunity to discuss how I’m still currently experimenting, to find a routine that works for me. I’m now 7 weeks into my graduate program starting in the ICU. I take this opportunity to reflect on the types of patients I’ve been caring for, their injury patterns, and what my expectations have been as someone new to this high acuity environment. Even as a student, I never experienced a night shift. As I post this I’m meant to be sleeping, so you can probably tell that’s not working so well. I detail my experiences from my run of night shifts, the patients I’ve cared for, and the challenges I’ve faced getting my body prepared. From start to finish today, I struggled. Time management was off, I needed to hand over to the next nurse, just to discharge my patient. I share my experience from today, that it really is normal to feel a bit flat when first starting. I detail an experience I had today, which really outlines the importance of asking for help. It may sound obvious, and can be tough when first starting, but asking for help is an essential trait of a new graduate starting in the ICU. It’s one thing to read the abundance of information out there to prepare for your Preceptorship Period; it’s another to experience it for yourself. I detail my personal experience during this time, and share what I found useful. Hello and welcome. My name is Ben Jenkins, a recent nursing graduate. I’ve created this podcast to follow, in real time, my experiences of starting directly into the Intensive Care Unit. On day 3 I experienced my first major airway emergency. I share how i felt, what happened, and the take aways from how i will learn from this situation. Just a little update to how I’m feeling both physically and mentally. It’s a bit different to the uni/college lifestyle for sure; and I share my experiences of developing my pre-shift routine. Two exceptionally different episodes in one: The first being my first major ‘Emergency Buzzer’ moment - The second being a struggle I’ve had with what is called a ‘worklist’.